I got Clash of Cultures not long after it came out in 2013. In the past two and a half years it has become a favorite at The Gaming Annex. Indeed, it is my favorite four player game. Let’s take a look why. Nice components are always welcome. And Clash of Cultures delivers. 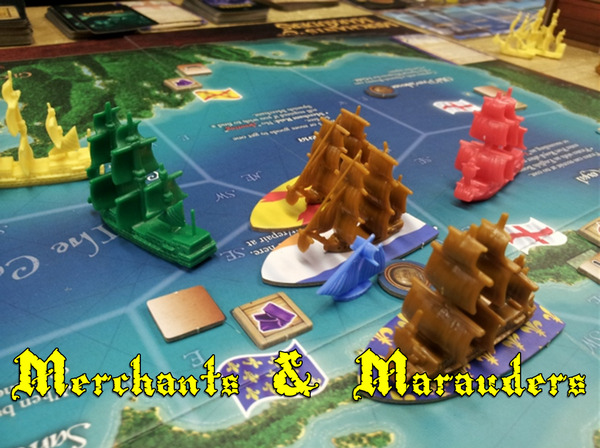 The game comes with numerous plastic components for cities, ships and armies. The cities fit together like a puzzle. You can place an academy, a port and a fort around your city. The cardboard components are thick and durable. The board is made up of these thick cardboard tetra-hexes. Players also have a complement of cardboard tokens that are the same grade material. Z-Man, the publisher, has proven it COULD be a serious competitor to Fantasy Flight Games. to clean up, a game should take about three hours. There are six actions a player can take. 1. A player can spend two food to gain an advance. This opens up a player’s strategies and gives him needed flexibility. Also, advances are worth 1/2 a VP. 2. Founding a city is an action. A player picks up a settler from the board and replaces it with a city. This is worth 1VP. And it gives the player a stronger board position. 3. Activating a city is the most complicated action. A player must choose from three types of activation. The choices are to increase the city’s size, build units in the city or to harvest resources. All three choices are important. The more resources you have, the more units you can build. The more units you build, the more territory you can conquer. The resources you have, the bigger the cities you can build. 4. If activating a city is the most complicated action, then the move action is the least intuitive. A move action allows you to move, in up to three impulses, your units on the board. Sounds easy enough. But the actual implementation is different than most games I have ever played. So I found it counterintuitive. 5. A civic improvement action makes you cities happy. Happy cities build more units, spread their influence farther and harvest more resources. 6. The last action is the insidious cultural influence action. This replaces one of your opponents city pieces on the board with one of your own. Your opponent will still use the city piece as his own. But you will score 1VP for it at game’s end and not him. Clash of Cultures comes with individual player boards. These boards track a player’s advancements. As players acquire advancements, they place a cube in the appropriate slot. This “tech tree” is very visual and intuitive. Players must acquire the top level advancement before any of the three advancements below it. The dtop level advances will often allow you to start building different city pieces. For example, getting the “fishing” advances allows a player to start building ports. There are also government advances. Players may have advances in only one form of government. There are three choices: theocracy, democracy and autocratic. Each has their own strengths and weaknesses. The implementation of the advancement board in Clash of Cultures is inspired. New players can very quickly see what is available to them. Experienced players will find new ways to use advances. Clash of Cultures borrows one of the inspired mechanics of War of the Ring: multi use cards. Players start the game with an action card. Each round, players draw an additional card. Players will steer their strategy based in part on their action card draw. Each card has an economic use and a combat use. The top half is normally a boon to one’s actions or economy. The bottom half is a boon in combat. And the effects can be enough to win a decisive victory. Players will trigger random events throughout the game. The event deck is largely bad news. I estimate about 2/3 of the deck is bad. But players are in control of WHEN they trigger it. The amount of mood and culture you generate will trigger events. So don’t trigger an event unless you are ready to weather the storm. Also, some advancements make you all but immune to some of the nastiness. Players will be besieged by NPC barbarians. These barbarians will attack when the event deck triggers them. Until then, players better build up a defense. Or better yet, attack the barbarians. Pack some action cards to help out a close battle and be done with the brutes! Clash of Cultures is also a bit of an exploration game. The exploration aspect of the game is probably the weakest element to the game. The game comes with enough pieces to make the game board with a few leftover pieces. Players will flip over tiles when they move onto a tile. Players have some in how the tile will be placed. If an aspect of the game could be better fleshed out, it would be the exploration portion. Christian Marcussen , the author Clash of Cultures. is a master of understanding how to improve his own games. His expansion to Merchants & Marauders was a stroke of design brilliance. And so was his expansion to Clash of Cultures. Clash of Cultures: Civilizations adds unique powers and leaders for each player. Each player draws a civilization card. This gives the player four unique advances. Each civ also has a three leaders. These leaders have two special abilities. One is generally economic and the other is generally combat. Players will try to integrate these unique advances and leaders into their overall strategy. Combat is much more interesting with the expansion. Players can acquire cavalry and elephants. Elephants can prevent damage to your army. Cavalry add synergy to your armies that have infantry. This makes the combat card system all the more compelling. The ability to use a small force, comprised of just the right pieces, can crush your enemy before he can build up a massive defense. The expansion also adds new city pieces. The market, obelisk and apothecary are now available. This adds a ton of strategic options. The market allows you build elephants and cavalry. The obelisk is immune to cultural influence. When you build it, you are guaranteed to score 1VP. The apothecary allows you to rebuild lost units without taking an action. And then there are the pirates. How can a Christian Marcussen not have pirates? The pirates are an NPC force that occupies the water ways. Players cannot harvest the sea spaces if there is a pirate present. And the pirates can be triggered by the event deck too. The Civilizations expansion is one of the best expansions I have seen. It’s up there with Shattered Empire from TI3. There was an unfortunate hiccup when I first got the game. My copy did not come with the pirate ships. This lead to some frustration (and a tirade on boardgamegeek.com). But the customer service at Z-Man squared me away. In a game of Clash of Cultures, players eek out a civilization, develop advancements, go to war and build timeless wonders. I’ve been on the lookout for a civ-builder for years. I picked up Clash of Cultures, hoping it would scratch that itch. Clash of Cultures is the best thematic implementation of a civ builder in board game form. You really feel like you are guiding a civilization’s progress.